Moving to New York City is a major life event. And you must feel more than excited. It doesn’t matter where you are coming from, NYC is a one-of-a-kind city offering its own kind of lifestyle. You might need some time to adjust and learn the New York ways of living. But don’t worry, the city will quickly make you fall in love with it and you will never want to leave. However, if you are planning to move with a pet, it might take some time for animals to adjust to big city life. There’s no need to be anxious about this part of moving, though. 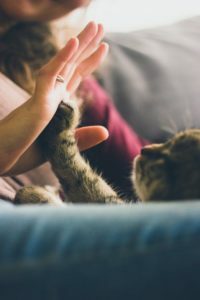 There are several ways of helping pets adjust to NYC that will make the transition easier for you as well as for your beloved animal. So read through the tips and see if they sound good to you. If you had a specific routine with your pet at your old home, it is a good idea to keep it unchanged after moving to NYC. So if you used to feed your cat at the same time every day, do your best not to change that. This also applies to dogs. Keep their feeding and walking schedule unchanged. This might be a pain in your neck sometimes, as you will have to quit your activities in order to provide a steady routine for your pet. But helping pets adjust to NYC will be so much easier if you keep their everyday schedule consistent. A steady routine will relieve their anxiety and help them stay calm. If you hire pet moving services NYC, they will relocate your pet quickly and stress-free and their routine will remain uninterrupted. Days after moving to a new home can be quite hectic. You can’t find your way around the new place, everything needs to be unpacked and sorted out. And it can make you feel totally stressed out. But no matter how crazy it is to settle in your new home, your pet should get its own space as soon as possible. Moving with pets requires you to pay special attention to them at all times. 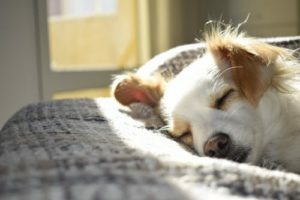 If your dog or cat sleep in a cot set it up immediately. They will also need their favorite blanket or toys and a bowl of water. Anything that smells like your old home will keep them calm and give them a feeling of being at home again. Also, setting up a corner for your pet will help you feel calmer because you don’t want your dog going crazy and running all over the place while you are trying to unpack and settle. Helping pets adjust to NYC will also help you. After the moving day is over, and top movers NYC have finished relocating everything to your new home, you can relax. This is the time to settle. And this means to get to know your neighborhood. New York City is very diverse. But if you have just moved from a house with a backyard, your dog will need to adjust. And this also means getting to know the neighborhood. So you are in luck! Both you and your pet are in need of regular and every day long walks around your new NYC hood. Who says that helping pets adjust to NYC has to be difficult? Take long walks to help your dog learn its way around the new streets. And while doing this, you can get familiar with your neighborhood and maybe even meet new people. There are perks of having pet duties, you just have to stay positive. Moving anxiety is a real deal. And if you are feeling it, then you can begin to imagine what your dog is going through. You can’t explain your support with words, but you can make them feel better. 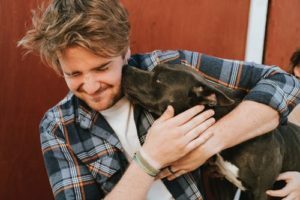 Try not to rush around after moving and spend quality time with your pet. If you have moved to a small home in NYC from a large house in a suburban area, your dog is probably having a hard time. It needs your attention. Spend as much time outside as you can. Also, when you are at home, try to make your pet feel good by sparing a moment for its favorite activity. Or just a simple belly rub. Anything that you know for a fact your pet will enjoy. Helping pets adjust to NYC means making them feel comfortable both indoors and outdoors. And it will help you feel good as well. Helping pets adjust to NYC is just as important as adjusting to it yourself. And even more challenging, since you have no way of explaining to your pet what it is going through and why. So you need to be very patient and understanding. Each pet will have its own pace of adjusting and you need to show your support. Also, make them fall in love with New York City by showing them the advantages and good sides of your new residence and neighborhood daily. If your pet feels you like the new location, they will accept it with less resistance for sure. Have patience and love for your special little companion.